Steven Universe cast at Los Angeles Comic Con 2018! Los Angeles Comic Con is just around the corner (next month to be exact! ), and they are still announcing guests left and right. Just this morning, they announced that a good number of the cast will be there for a panel, signings and photo ops! 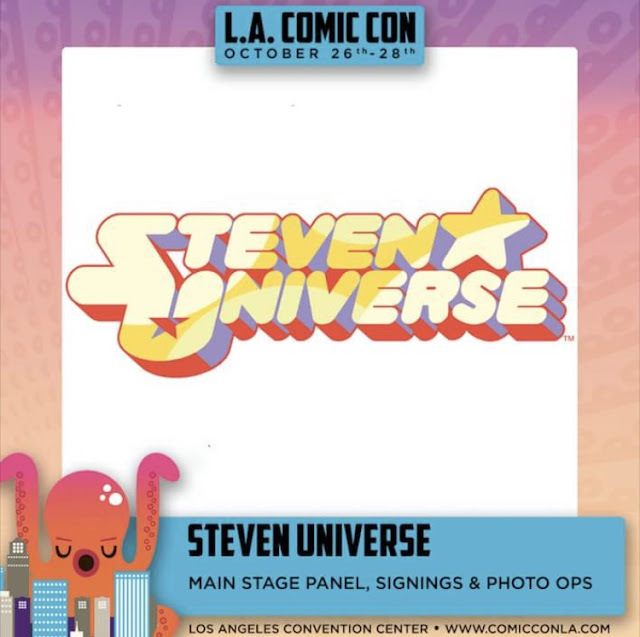 Michaela Dietz (Amethyst), Jennifer Paz (Lapis Lazuli), Shelby Rabara (Peridot), Grace Rolek (Connie Maheswaran), and Kimberly Brooks (Jasper) will be in attendance all weekend long! Los Angeles Comic Con will take place October 26 - 28 at the Los Angeles Convention Center.